An acclaimed San Jose artist and several De Anza students have begun work on a special outdoor mural that will commemorate the college's 50th Anniversary, marking the end of a yearlong celebration. 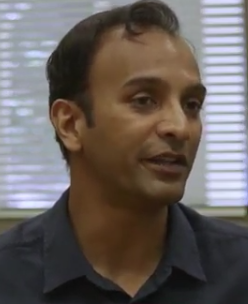 In this new video, DJ Patil speaks about the importance of community colleges and his own experience at De Anza. Patil, the former U.S. Chief Data Scientist, gave a May 7 talk at a special 50th Anniversary event on campus. DJ Patil, a De Anza alumnus, earned a Ph.D. in mathematics and was the first Chief Data Scientist for the United States during the Obama Administration. He'll be speaking on campus about "Engaging the Future."